McClelland Air Conditioning is Proud to offer Quality Heat Pump Units from Bryant, Daikin and Trane. From baseline efficiency of 14 SEER to more the 20 SEER, we can find a Heat Pump System to meet your needs and wants. Heat Pumps today Are Quieter and more efficient than ever before and when Coupled With SOLAR power, you can virtually Heat and Cool your Home FOR FREE. Heat Pumps today have a wide array of options for you to choose from including 1 stage, 2 stage, or modulating variable speed compressors that Lower their speed to Less than 30% of full speed to maximize efficiency. To Learn more, Call us TODAY or visit the links below. Going SOLAR? CALL Today to learn how you can harvest the sun’s energy to HEAT and COOL your home or business! McClelland Air Conditioning is proud to be a Bryant Factory Authorized Dealer. 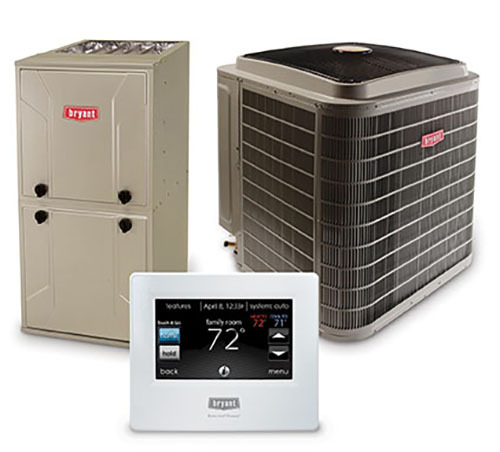 To learn more About Bryant Heat Pumps, CLICK HERE. McClelland Air Conditioning is proud to be a Trane Comfort Specialist. To learn more about Trane Air Conditioners, CLICK HERE. McClelland Air Conditioning is proud to be a Daikin Com Pro. To learn more about Daikin Air Conditioners, CLICK HERE. Call today to learn about all the rebates available to you when you upgrade your homes comfort system!